The Riomet medication is prescribed to patients with type 2 diabetes. There are instances where this medication can be taken with insulin. Nevertheless, patients with the type 1 diabetes should not take this medication. The Riomet is an oral liquid medication. Children, as young as 10 years old, can safely consume the medicine with a doctor’s approval. That is if they are not insulin dependant. Adults may take the Riomet treatment with insulin injections. A person needs to be on a steady regiment of diet and exercise when they take this medication. It assists the body in controlling as well as maintaining the glucose levels in the system. However, it cannot work alone. Always follow the diet and exercise program that have been designed for each individual. There is not a typical dose requirement. A doctor will examine an individual’s case history and their personal needs to develop the correct dose. Nevertheless, an adult should not take more than 25ml a day of the Riomet treatment. An individual will need to discuss with their physician what the procedure for their case is. However, this medication is typically taken at meals during the day. It is recommended that the medicine is consumed in lower doses to start. This will allow the system to become familiar with the medication so fewer side effects will occur. It is important to record blood sugar levels throughout the day and report this to the doctor. This method will let the physician understand if the doses need to be raised. There is certain information that the patient needs to be aware of before taking the Riomet medication. An individual will need to discuss medical history and other aspects of their lifestyle with the physician before using this drug. Any questions or concerns should be addressed before taking the prescribed mediation. An individual will need to talk with their doctor if they have had any problems with their heart, liver or kidneys. A person may experience adverse effects if they do not explain this to their doctor before taking the medication. Lactic acidosis is a rare but very serious complication of the Riomet medication. If an individual is experiencing stomach discomfort, muscle throbbing, unusual fatigue or fainting, contact a medical professional immediately. The Riomet treatment may need to halt for a small period of time if certain tests are preformed. These types of examines are x-rays or other machine equipment that the patient has to be injected. Discuss this with the physician on the best course of action to take. Other medication may affect the Riomet treatment. It is important to tell the physician if any extra medication is being taken, even over-the-counter drugs can be harmful. Side effects are fairly uncommon but can happen. If anything out-of-the-ordinary is occurring, seek medical advice right away. Some of the symptoms may be nothing to worry about or they will go away in a few weeks. Others are extremely dangerous and needs medical attention right away. If a person is unsure of their symptoms, seek medical advice immediately. The more common side effects may leave after the body is use to the medication. However, if they become more bothersome, worsen or persist, contact a doctor right away. The symptoms include body aches or discomfort, slight stomach issues and flu or cold like symptoms. Low blood sugar can be a side effect if the proper dose or diet is not observed. It is vital to test the glucose levels often. If they are to low, eat a hard piece of candy or other strong sugar substance. Wait 30 minutes and test again. If they are still really low, contact a health care provider right away. The symptoms of the serious side effects could be swelling, gaining weight, massive flu like symptoms or difficulty in breathing. If any of these are happening, contact a doctor immediately. The Sitagliptin tablets are designed for individuals that have type 2 diabetes. This is when the pancreas does not produce enough insulin to keep their system’s glucose levels in a healthy range. The body does not manage the blood sugar levels correctly as well. This type of medication will assist in breaking up glucose that can form in the system when table sugars and carbohydrates are consumed. An individual may need to take other diabetic medicine along with the Sitagliptin tablets to completely control the natural insulin. Remember; never take any medication without the approval of the physician. This tablet is only a small part of maintaining an individual’s diabetic situation. It only assists the body to help control the sugar levels. A person must also have a steady diet and exercise regiment. If an individual is have difficulty with this process, the doctor or nutritionist can assist in this matter. A person needs to control their weight with proper diet and exercise for an overall healthy body. An individual will need to follow the doctor’s precise instructions to maintain control over their diabetes. Any questions or concerns need to be addressed as soon as possible. It is vital to understand everything that is presented before taking the Sitagliptin tablets. The medication comes in three forms; 25mg, 50mg and 100mg. This is determined by the patient’s lifestyle as well as medical history. A doctor may prescribe more or less according to the facts and tests they have. Typically, this pill is given as 100mg a day. An individual does not have to eat to take this tablet. However, if the stomach becomes upset, food may be the correct option. It is important to make sure to take the medicine around the same time each day. There is certain information that each patient may need to be aware of before taking this medication. The individual must make sure they inquire any information they do not understand before the regiment begins. A doctor will be glad to answer any questions and explain their instructions clearly. An individual that has another form of diabetes or kidney problems, need to explain this to their physician. The dose may be lowered or another medicine may be prescribed. Medication, even over-the-counter vitamins may be damaging while taking the Sitagliptin tablets. Communicate all extra medicines with the doctor for the best method to handle the situation. Lifestyle changes that can raise glucose levels should be discussed. If an individual is experiencing stress, anxiety, illness or drink alcohol, explain this to the physician. They may suggest an alternative medicine or raise the dose that is currently being prescribed. An individual must explain to their medical care provider if they have any history of allergic reactions to medicine. A patient’s case history should be presented before the Sitagliptin tablets are taken. There are a few side effects associated with the Sitagliptin medication. An individual needs to inquire about these problems right away. Some symptoms are relieved after a few weeks of the treatment. However, if any new problems arise or worsen, it is vital to contact a physician immediately. An individual needs to watch themselves closely and take notes on any unusual occurrences that may take place. The most common side effects are chest infections, headaches or cold-like symptoms. These should fade away within a couple of weeks. If they do not, persist or worsen, it is vital to call the physician immediately. This medication does not increase low blood sugar when taken by itself. Unless this medication is used with others, no worries about low glucose levels should arise. There are some serious side effects that an individual needs to be aware of. These symptoms include but are not limited to stomach pain or discomfort, nausea and diarrhea. Most of these symptoms may go away on their own as well. Nevertheless, if the pain worsens or lingers for a long time, contact a health care provider right away. The Starlix medication is created for use in patients that have been diagnosed with type 2 diabetes. This disease attacks the naturally produced insulin in the system. The pancreas cannot produce enough insulin to combat the added glucose levels in the body. Thus, they are stored at unhealthy levels. A person needs medication or in type 1 diabetes as well as some type 2, insulin injections. The Starlix tablets are designed to assist the pancreas in producing more natural insulin to relieve the higher sugar levels. This medication also helps manage the insulin that the body produces. When excess table sugars or carbohydrates are consumed, the body does not digest the chemicals correctly. This inhibits the body to breakdown these food items properly. The Starlix tablets can be used with other diabetic medicines. However, do not use other medication without the physician’s approval. This type of pill cannot work alone. It assists the body to produce more insulin, however without the proper diet and exercise routine; an individual will not be able to control their diabetes effectively. It is vital to always follow the doctor’s precise instructions. If an individual has any questions or concerns, they should be addressed before the Starlix is consumed. Typically, this medication should be taken right before a meal, no longer than 30 minutes. The dose is usually 3 times a day, at major mealtimes. An individual should take the medication around the same time each day for maximum performance. These types of tablets come in 60mg or 120mg. It is not recommended to skip a meal. The diet lifestyle the individual is on should continue daily. Nevertheless, if a meal is skipped, the table should be as well. If forgetfulness is a problem and the dose is skipped, wait for the next meal. Never, under any circumstance, take two pills at once. The doctor in charge will explain to their patients the best method when taking these pills. Always follow the exact instructions. All questions about the directions should be asked right away. Any information that is not clear should be retold. There is certain information that all patients need to be aware of before beginning this treatment. Certain medications may interact with this drug. All medicine, even over-the-counter cold pills, vitamins or herbs should be discussed with the doctor. They will explain if the current medication is safe for continual use. Low blood sugar problems are possible. Always test the glucose levels often during the day. Discuss the possibilities with physician and best course of action to take in case the glucose levels drop rapidly. There have not been excessive studies done on pregnant or nursing women. However, the studies that have been preformed all show that a woman, pregnant or nursing, should not use the Starlix tablets. Side effects influence every person differently. Some may be common in one but not in others. It is important to talk with the physician in case serious side effects do occur. Anything unusual or out-of-the-ordinary is happening, seek medical advice immediately. The most common side effects usually leave within a couple of weeks as soon as the system becomes use to the medicine. The common effects are mild and may not need any assistance. If they become worse or more bothersome over time, contact the health care provider immediately. The symptoms include but are not limited to muscle or joint discomfort or infections, stomach problems and flu or cold-like symptoms. The more severe symptoms may include dizziness, chest infections or nausea. If any of these worsen or linger for a long period of time, contact the doctor immediately. A serious problem could be developing. The Tolazamide tablets are designed for patients with type 2 diabetes. An individual cannot take this medication if they have type 1 or are insulin dependant. This medication can be used with or without other diabetic medications to treat the type 2 version. It is important to remember that medication should not be taken unless directed to the physician. The Tolazamide tablets were created to stimulate the pancreas in producing more insulin into the body. A person that has been diagnosed with diabetes cannot produce enough natural insulin to break down the table sugars or the carbohydrates after a meal. It also assists in controlling the insulin effectively. This kind of medication cannot be used alone in the fact that a proper diet and exercise program needs to be in place as well. This will ensure that the medicine is creating enough insulin to keep the body healthy at all times. An individual will need to follow all directions and doses prescribed by the doctor. Failure to do so may result in mismanaged glucose levels. This can have long-term damaging effects on the body. Typically, the Tolazamide medication is taken once a day. It is important to take this tablet at the beginning of the first meal each day. An individual may be required to take this medication twice a day. This depends on the person’s health history and lifestyle. Do not stop taking the medication or change doses without the doctor’s approval. If a person has any questions or concerns about the Tolazamide tablets, they should be addressed before beginning the treatment. The doctor will explain all the information and instructions entirely. Anything that is not understood should be made clearer. There is certain information that a person needs to be aware of before they begin this medication. 1. It is vital to explain to the physician if any allergic reactions to certain medications have occurred in the past. They need to be aware of this fact so that they can act accordingly. 2. Particular health problems should be discussed with the doctor. These issues could interact with the medication that is prescribed. A complete medical history should be presented to the doctor right away. 3. Pregnant or nursing woman should talk to their doctor right away. This medication may cause adverse effects in pregnant women. The Tolazamide tablets have not been tested in nursing mothers. Therefore, is it not recommended while breast-feeding. Ask the physician if any alternative medications can be used during these times. 4. Older individuals may experience lower blood sugar than normal when taking these tablets. It is important to check the glucose levels often. Also, talk with the medical care provider and ask if any alternative medication would be more suitable. All medications have some side effects associated with it. Some individuals are more prone to adverse effects than other. These need to be discussed with the doctor to understand the complications that may be present. All questions or concerns should be addressed before using the Tolazamide tablets. An individual needs to talk with their physician in case a problem does arise as well as the best solution to handle it. 1. The most common side effects are heartburn, stomach problems, feeling sick or gaining weight. These issues more than likely will disappear within a week or two without any worries. However, if they linger, become worse or more bothersome, contact the health care provider immediately. 2. There are serious side effects that every individual should be concerned about. The symptoms include but are not limited to flu-like symptoms, jaundice-like symptoms, a large rash that may appear to be a sunburn and unexplained bruising. If any of these are present or other problem arise with no explanation, contact the doctor right away. 3. An individual may experience high or low blood sugar when they take the Tolazamide tablets. It is important to discuss the symptoms of both problems with a physician. Remember to check the glucose levels often and act accordingly. The Tolbutamide tablets are designed for individuals that can naturally produce some insulin in their system. Most type 2 diabetes patients have some insulin moving through their system. However, insulin dependant individuals cannot use this drug. It has been created to stimulate the pancreas to produce more insulin and assist this natural drug to manage glucose levels effectively. This medication may be used with other diabetic tablets as well. An individual should never add medication or change dose without first consulting the physician. A correct diet and exercise plan is important for the tablets to work appropriately. The Tolbutamide medication can not manage glucose levels without the proper lifestyle regiment daily. An individual should always follow the doctor’s instructions. It is imperative to ask any questions that a person does not understand. Concerns should be addressed before this medication is taken as well. Every individual is different so their prescription may be diverse, also. The different doses may depend on various factors. Medical history as well as an individual’s lifestyle could determine the dose that is prescribed. Never take more or less than approved by the physician. An individual may take this medication once a day or several times throughout. Each Tolbutamide tablet needs to be consumed with a full glass of water, before every main course meal. Never skip a dose or stop taking the medication without consulting the doctor. Do not double dose, under any circumstance. If a pill is missed, take it right away unless it is near the time for another tablet. An individual will need to know specific information regarding the Tolbutamide tablets. Many things may need to be discussed with the doctor. An individual must understand exactly what they are taking to use it correctly. Ask questions or talk with the physician regarding this medication. 1. Certain health problems may interfere with this medication. A person will need to show their full medical history to their physician right away. An individual that has had issues in the pass needs to talk this over with their doctor before beginning the Tolbutamide treatment. 2. Older adults may find this medication unsuitable. There are some risks involved in patients over 60 years old. It is vital to discuss this matter with the physician. An individual may need to either find an alternative medication or a lower dose will be required. 3. An individual that is pregnant or nursing may need to find other resources to control their diabetes. The Tolbutamide tablets have not been extensively tested with these conditions. It is recommended that a person that is pregnant or breast-feeding does not take this medication. 4. Other medication can cause adverse effects while taking Tolbutamide tablets. An individual needs to express the types of medicine that is being consumed as well. Even over-the-counter medication, like vitamins and herbs, can interact with these pills. There are possible side effects that can be damaging to an individual’s body. Even though, most people will never experience the serious side effects, it is still important to be cautious. Discuss with the physician possible problems and how to deal with them properly. 1. Allergic reactions can happen in certain cases. An individual should explain to their doctor if any medicine reactions have occurred in the past. If a person is experiencing an allergic side effect, seek medical care immediately. The symptoms include but are not limited to having trouble breathing, a large rash, itchy or swelling. 2. Always check glucose levels often. There are times when the Tolbutamide tablets can cause blood sugar to drop rapidly. It is important to understand the warning signs as well as knowing what to do in case of an emergency. 3. Side effects can be common in some people. If an individual is experiencing anything out-of-the-ordinary, seek medical advice right away. However, a few symptoms may disappear after a couple of weeks taking the medication. The symptoms include but are not limited to flu-like symptoms, a jaundice appearance or dry skin. 4. The Tolbutamide tablets have been connected to cardiovascular disease. Ask the physician about this problem. It is important to understand the risks as well as warning signs of this rare but dangerous issue. The Tolinase medication can only be used in type 2 diabetics that are not insulin dependent. These pills are designed to stimulate the pancreas to increase the amount of natural insulin inside the body. This medication also helps to manage the method in which the insulin is used. An individual may be able to use these tablets with other diabetic medication. However, never take another medication without the approval of the doctor. The Tolinase tablets can only support the production of insulin. A diet and exercise program is a must for complete control of the diabetes. An individual can find assistance for the correct diet and exercise plan for their needs. The Tolinase pills are not insulin and should never be used to replace an insulin injection. It is important to discuss several things with the doctor before beginning a new drug. A person must follow the guidelines to a tee to be successful in the treatment. The Tolinase tablets are prescribed by the doctor to manage and control diabetes. There is no set method and how many tablets need to be taken throughout the day. The physician will prescribe the amount suitable for the individual’s lifestyle and medical history. Typically, an individual will start out slow and work their way up. This is usually around 100mg to 200mg a day. These pills needed to be taken in the morning with the first meal of the day. It is important never to miss a dose if at all possible. If a person does forget their medication, take a pill immediately. As long as it is not close to their next tablet. Never, under any circumstances, take 2 pills at a time. The Tolinase tablets come in 100mg, 250mg and 500mg. A physician will prescribe the best choice for an individual’s needs. Always stick to the prescribed dose. If a patient believes that their blood sugar levels are falling too quickly as well as often, talk with the doctor. They may suggest taking a lower dose. A medical care provider will discuss the necessary information that a person needs to know while on the Tolinase treatment. Any questions or concerns should be addressed to the physician immediately. 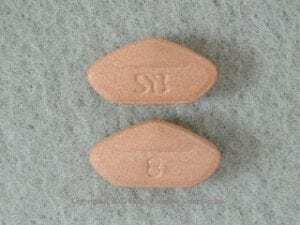 The Tolinase tablets may increase heart problems. Discuss the risks and benefits of the pill with the doctor. Another solution may be presented as an alternative treatment. Certain type of health problems can cause low blood sugar. A person needs to explain everything about their history to the medical care provider. The doctor will need a medical history report to make an accurate prescription. Higher doses or another treatment may be suitable. Test the blood sugar often each day. Inquire about warning signs of high or low glucose levels as well as what to do in case of an emergency. Other medication can cause adverse effects with the Tolinase tablets. It is important to explain to the physician all of the other types of drugs that are being consumed. Even over-the-counter medication, such as vitamins or herbal remedies, can be harmful to the body. The Tolinase tablets should not be used if an individual is pregnant of nursing their infant. The proper studies have not been preformed. Side effects are mild with the Tolinase medication. Every individual is different, what may affect some may not affect others. It is important to make notes of mild problems and ask the physician at the next office visit. Any problems that may arise that seem largely abnormal; the patient should contact their physician right away. Most of these side effects should vanish within a week or so. If they do not or become worse, contact a health care provider immediately. The symptoms include but are not limited to mild heartburn, feeling ill, hives or a large rash. The Velosulin BR is insulin that can be injected or used with an insulin pump. 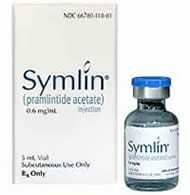 Anyone that is insulin dependent can use this medication. This is created from human insulin that can be found inside the body. It is identical and performs the same way. A person that cannot produce insulin from their pancreas to break up table sugars as well as carbohydrates may use this medicine. When injected with a syringe, the time it takes to work is around a half an hour. The insulin lasts for about 8 hours with the maximum effect before the 3 hour mark. When this is used in an insulin pump, the time will change dramatically. Pumps are designed to add insulin to the body when it needs to control the blood sugar. Every individual is different and the time frame may vary accordingly. This type of medicine can be used with various insulin pumps out on the market. Always follow the doctor’s advice on which pump would be best for the current situation. It is important to remember to follow all instructions regarding the insulin as well as the manner that it is injected into the system. There are several steps to completing this goal. Any questions or concerns should be addressed before this is used. An individual can make a mistake and accidentally give themselves too much insulin if the proper steps are not observed. It is vital to inject the insulin after a meal. Remember, never mix medications or insulin without the physician’s approval. Various instructions are given to patients when they inject themselves or use a device deigned for this purpose. It is vital to understand all direction and follow every step to a tee. An individual should keep their insulin in the refrigerator when possible. Do not use the product if it has been frozen or exposed to direct light. If an individual cannot refrigerate the Velosulin BR medication, make sure it is stored in a cool place away from light as well as heat sources. The medication should only be used if the liquid appears clear and colorless. It is important to make sure the insulin pump is working properly. An individual can develop long-lasting effects if the correct amount of insulin is not being used. A person will need to test their glucose level often to make sure their levels are in the recommended range. Other medications may interfere with the Velosulin BR medication. It is important to discuss all the medication that is being consumed. Even over-the-counter pills can damage an individual’s system. The warning signs of high as well as low blood sugar levels need to be discussed with the physician. A person as well as their families should be aware of problems that can arise and what to do in an emergency. There are certain side effects that a person needs to be aware of. Usually, a side effect with the Velosulin BR medicine is rare. An individual needs to talk with their doctor about the possible problems and solutions in case something happens. Allergic reactions can occur. Usually an individual will not experience this type of event. However, it is important to know the symptoms. These include but are not limited to a large skin rash, difficulty in breathing and rapid heartbeat. If anything appears out-of-the-ordinary, seek a medical care provider right away. If an individual does not use different injection locations, bumps and calluses can form. Remember to change sites often. The Velosulin BR medication can cause low blood sugar when not used properly. It is important to remember to never skip a meal and eat properly. Test the glucose level. If the blood sugar is lower than recommended, eat a hard piece of candy and wait 30 minutes. Then check the levels once again. If the blood sugar is still dangerously low, contact a physician immediately. Never inject insulin when low glucose levels are apparent. Actoplus Met is two diabetes medications brought together into one capsule that helps control your blood sugar levels. This medicine is only good for the treatment of type 2 diabetes and not type 1 diabetes. People with type 1 diabetes should not take Actopus Met. Though this medicine can be used to treat other elements of the purpose of this article is discuss Actoplus Met and its benefits towards type 2 diabetes. This is a prescribed medication and should not be taken without the consolation and the prescription from a doctor. Directions for the patient must be followed precisely as the doctor has prescribed. You may change the dosage of this medicine only when it is advised by your doctor. As pre-mentioned, Actoplus Met is a combination of two different diabetes medications. 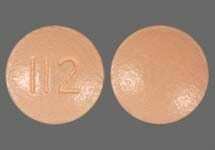 The first medication is called pioglitazone and the second is called metformin. Pioglitazone helps to respond to and act accordingly to the natural insulin that is produced and your body. When this occurs it helps to reduce your blood sugar. Reducing your blood sugars severely reduces your chance of having a negative diabetic reaction. This medicine does not increase the amount of insulin in your body but reduces the natural blood sugars. This allows your body able to reduce the insulin that it needs to the ratio of blood sugar that is in your bloodstream. The other medicine is in Actoplus Met is metformin. Metformin works in a variety of ways that is beneficial to your body. Glucose or sugar that is made by the liver can be decreased this drug. It also makes insulin receptors more sensitive in the forces of the insulin receptors become the better these receptors respond towards insulin. Working symbiotically with pioglitazone, metformin also decreases the blood sugar levels. With this medicine you need to know that your insulin levels will not increase but your blood sugar levels will. It is advisable to monitor your blood sugar levels at all times while you are on this medication. As with all medicines there is a risk of side effects from taking Actoplus Met. You may feel like you have a cold or flu and your upper respiratory track may be infected. Another side effect is that you may gain weight due to small and a lot of retention. You may also experience diarrhea or nausea and in rare cases you can experience both at the same time. Urinary tract infection is a remote risk when taking this medication, but you are more susceptible to it if you are susceptible to urinary tract infections in the first place. Actoplus Met comes in a capsule form. It should be taken orally and usually the dosage is from once to twice a day. You should take Actoplus Met with a meal because one of the side effects could cause stomach upset occur. You have to take the medications at the same time each day because the medication is to regulate the blood sugars in your body. If you upset the balance by taking the medicine at different times, the chemical balance of your body can be upset.